One of the things that FoodWorks' Partners (see Our Team) do is to develop their own agribusinesses. This means that while we spend much time consulting for others, we keep our feet firmly rooted in real world agricultural challenges. These are not only agronomic, but sometimes involve international agreements, partnerships between groups with different goals and building relationships with local smallholders and communities. Of course there is always an environmental impact. Agricultural development is never simple – which is what makes it interesting. Eddie Vernon, Senior Managing Partner, is a case in point. He has developed his own agribusiness, Happy Farmers Limited (HFL), in Laos (a country that probably falls into the new designation of a “non-permissive environment” - meaning dealing with the government and the legal system is a challenge all of its own) based on contract farming grass seed for forage. HFL has been an innovator in the producing ''Brachiaria'', a genus of grasses originating from savannas of eastern Africa. These grasses are widely used as livestock forage. The genus includes 97 species, which can be found in tropical and subtropical climates. He also has a successful exotic plant nursery in Thailand where he produces Tillandsias – or so-called “air plants” used for decorative purposes. 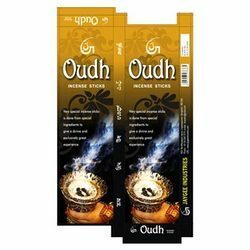 Eddie has also been heavily involved in agro-forestry, specifically with agarwood, which is the tree from which the highly valuable “oudh” incense is prepared. He’s always looking ahead – marketing and development go hand-in-hand with actual growing things - and one possibility has been to produce forage grass seed between plantation tree crops. Now (as shown in the photo) this is starting to happen. As Eddie reports, the farmer of the crop in the photo is harvesting about 300 kg of HFL grass seed per year worth about US$3.75/kg. The grass only needs to be planted once and can be harvested once per year for many years, though in the case of being planted between young rubber trees, it is likely that the rubber trees will shade out the grass around the 4th year. 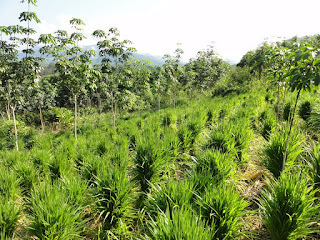 The grass also provides a forage for livestock and protects the sloping land from soil erosion. The farmers do not use any chemical fertilizers or pesticides so it is all organic (though not certified as organic). The story of the development of HFL’s grass seed business is worth recording since it illustrates the extensive and complicated personal and enterprise relationships that go into this kind of work. Eddie started in Nga District of Oudomxay Province (Northern Laos) in 2006 with about smallholder farm 10 families and reached over 500 families by 2011. 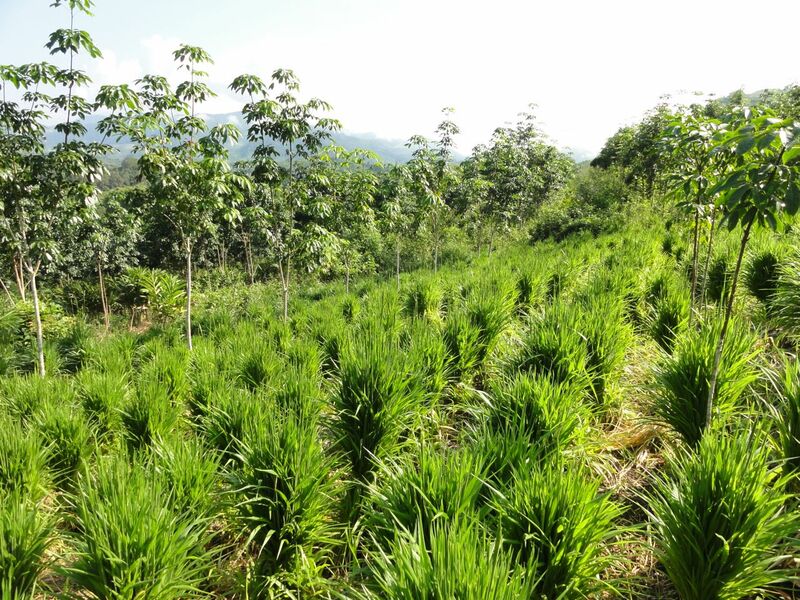 He has produced Mulato II hybrid brachiaria (Bracharia ruziziensis x B. decumbens x B. brizantha) in northern Laos under contract to Ubon Forage Seeds and Tropical Seeds LLC. Seed production in Laos has now expanded to include Cayman hybrid (B. ruziziensis x B. decumbens x B. brizantha) and Mombasa guinea. The Faculty of Agriculture at Ubon Ratchathanee University had been involved in tropical forage seed research since 1995 and had built up an international reputation for excellence in forage seeds (See Reference 1 below). A Memorandum of Understanding was signed in 2004 between TropicalSeeds LLC and the Faculty to produce brachiaria hybrid forage seeds. Tropical Seeds LLC made the business decision in 2003 to come to Thailand based on forage seed quality, smallholder experience and professionalism. Tropical Seeds LLC, a subsidiary of a Mexican seed company, Grupo Papalotla, now employs a seed producing and seed research group, Ubon Forage Seeds in the Faculty of Agriculture, Ubon Ratchathani University, to manage seed production, seed sales and export, and to conduct research on existing and new forage species. With the addition of Happy Farmers Ltd., over 200 tons of seed is the forecast output in 2013 which is mainly exported overseas (95%) the remainder being sold within Thailand. This is a great achievement and a classic example of how the academic world works with commercial agribusiness across borders benefiting smallholders and the final users of the grass seed - the cattle that eat the forage (and of course their owners who get increased productivity). Reference #1: A paper entitled “Thailand and Laos: research to village farmer production to seed” authored by Dr. Michael Hare and colleagues (For a copy email: michaelhareubon@gmail.com) discusses in detail the seed production of the six forage species and how the development in villages of a smallholder-farmer seed production program has had positive social and economic outcomes for the village seed growers and enabled farmers in other countries to receive high quality forage seeds. 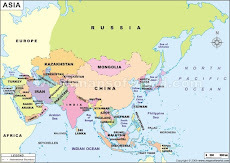 The strong emphasis on seed quality, high purity, high vigour and high germination, has had a large impact on tropical pastures in more than twenty tropical countries in Asia, Africa, the Pacific and Central and South America, enabling pasture growers to establish more than 20,000 hectares of pastures over the past three years.